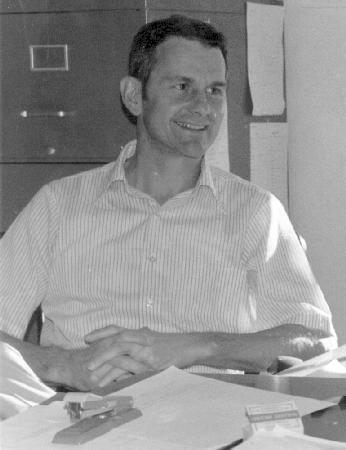 Professor of astronomy at the University of Virginia, D. Nelson Limber died 16 April in Charlottesville. Born in May, 1928 in Alexandria, Virginia, Limber received both AB and MSc degrees in physics from Ohio State University in 1950, and a Ph.D. in astronomy from the University of Chicago in 1953. Limber held a postdoctoral fellowship at Princeton in 1953 and had been appointed to the faculties of the University of Rochester (1956) and the University of Chicago (1958) before returning to Virginia to join the department of astronomy at the University of Virginia in 1968. Throughout his career, Limber concentrated on problems of stellar function and dynamics, taking particular interest in analyzing stars with extended gaseous envelopes. An effective and popular teacher at the University, Limber was much sought after for his advice by students and colleagues alike. "Two groups of radio astronomers have recently measured the 21-centimeter radiation from the Pleiades. Their work offers a splendid example of the stumbling gait that so often characterizes scientific progress." "Presumably these two sets of calculations should at least roughly bracket the truth." "There appears to be little question that the Be phenomenon has important things to tell us of stellar rotation. It appears almost equally clear that too superficial an approach could well lead to invalid conclusions at any one of a number of points. Some caution therefore, appears advisable."